Holy bathing suit, Batman! 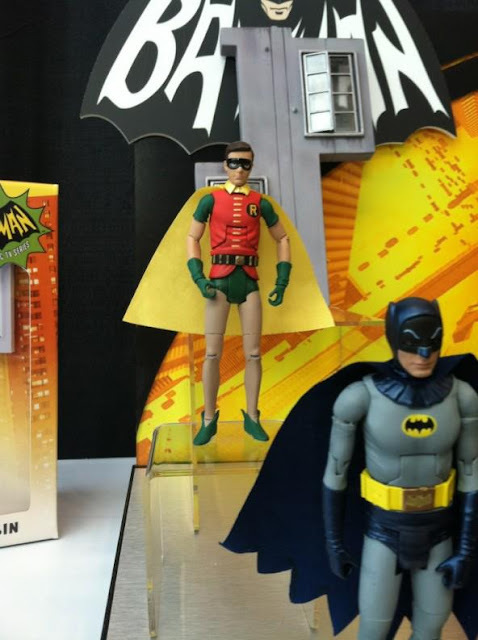 Here's another look at what Mattel has in store for us this year with the upcoming July 2013 release of their 1966 Batman TV series 6" inch line. Here we finally get a peak of the 6" Robin (Burt Ward). We've still have been anticipating a look at The Joker (Cesar Romero), Catwoman (Julie Newmar), and possibly Batgirl (Yvonne Craig), but in an unexpected move we get see a Bat-trunked Batman (Adam West) from episode #104 of the series. In that episode The Joker shanghais surf champ Skip Parker from the Hang Five, a surfers' hangout. His beach bunny Barbara Gordon, sees the Jokermobile driving away and phones the Commissioner. Chief O'Hara and Commissioner Gordon, disgused as surfin' dudes Buzzy and Duke, visit the Hang Five, joined by Batman and Robin. The Joker uses his Surfing Experience and Ability Transferometer and Vigor Reverser, to acquire Skip's surfing ability. He then challenges Batman to a surfing match and hopes to be the King of the Surf. The show literally jumped the shark during that episode and is one of the more self parodied episodes of the entire run of TV series three seasons. We can only hope that there will be a version of the Joker in baggies as well. Cowabunga! The Joker was all about fun. At least in the series. 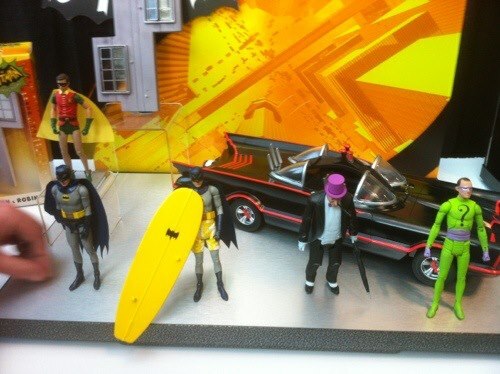 Oh my Surf Shorts!I want that surfin' Bat-Man and please please please make the surfin' Joker too! I wonder as well will we see Egghead and King Tut? My two favorite villains from the series. I have to expect they've made a Surfin Joker version too. If the line does well, I think we'll see other characters like Egghead and King Tut. Man, those are cool! I can hardly believe my eyes...! And ROBIN! There's a Robin! They sure are. It's like something out of a dream. The Boy Wonder definitely needs to get a Boy Wonder. 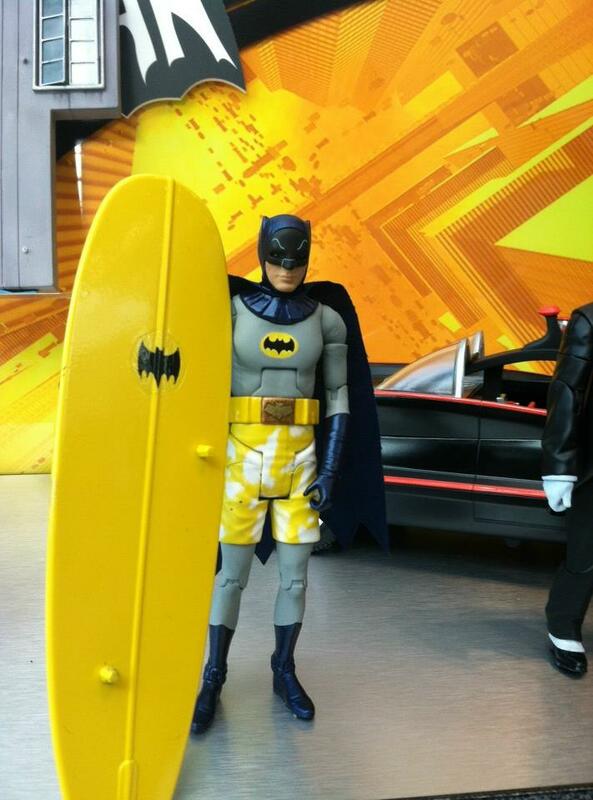 Yeah, that surfing Batman will be mine! Mine too! Hoping to see a Joker counterpart soon.